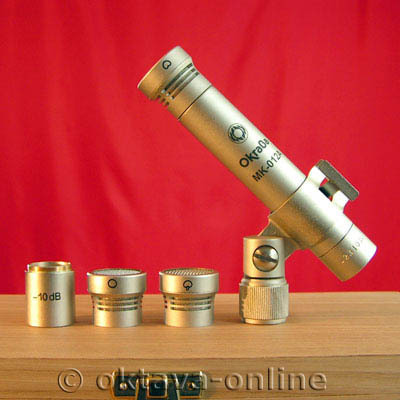 Laminae small condenser microphone supplied with 3 heads for three interchangeable directional (omni, cardio, cardio super-), a-10db pad. A pretty wooden box, clamp well thought, it is very pro and we love that! I bought a pair a month ago, I compared directly to my pair of KM184. 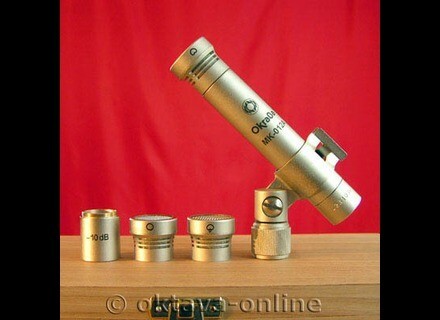 I immediately recognized the neumann, a tab qd even more fun, this slight compression and harmonics I do not know .. In any case have held up well oktava comparison, they are very clean, very good frequency response and transient. For the price, it really is correct. Only bemol: omni capsule seemed very sharp, not jolijoli. I reessaierai. When Russia meets the states!